It's time to sharpen our pencils, because "we're going back to school!" 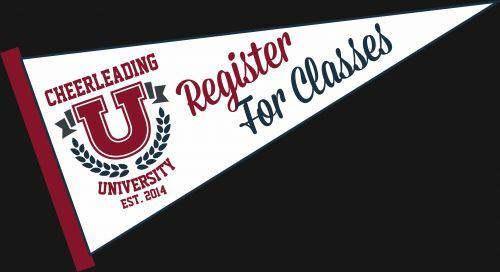 The 2017 Cheerleading University offerings are now posted on The Cheer Shoppe, to begin or continue your educational pursuits in both Cheer and Dance towards your degree. Once again, Cheerleading University will help prepare you and your eam for the upcoming season with programs designed to make sure you understand the complexities of our sport and ensure that you do so in a safe format with a full understanding of the rules. To register, click on the pennant above.